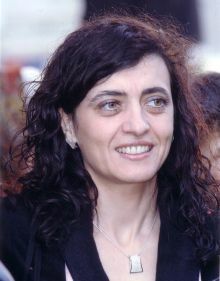 Vitana Kostadinova has an MA in Bulgarian and English from the Paisii Hilendarski University of Plovdiv (1994), an MPhil in Romanticism from the University of Glasgow (2001), and a PhD for her dissertation on the Reception of Byron in Bulgaria (2007). She is Senior Lecturer at the English Department of the Paisii Hilendarski University of Plovdiv, teaches English language and literature, and specialises in British Romanticism. She is the author of Byron v balgarski kontekst: sledi po piasaka na vremeto [Byron in a Bulgarian Context: Footprints on the sands of time] (2009) and co-editor of Byron and the Isles of Imagination: A Romantic Chart (2009). Vitana Kostadinova has contributed the essays on the Bulgarian reception of Byron and Shelley to The Reception of British Authors in Europe series. Her research interests are in the fields of reception and translating culture. She is currently working on Jane Austen. Member of the English language team.